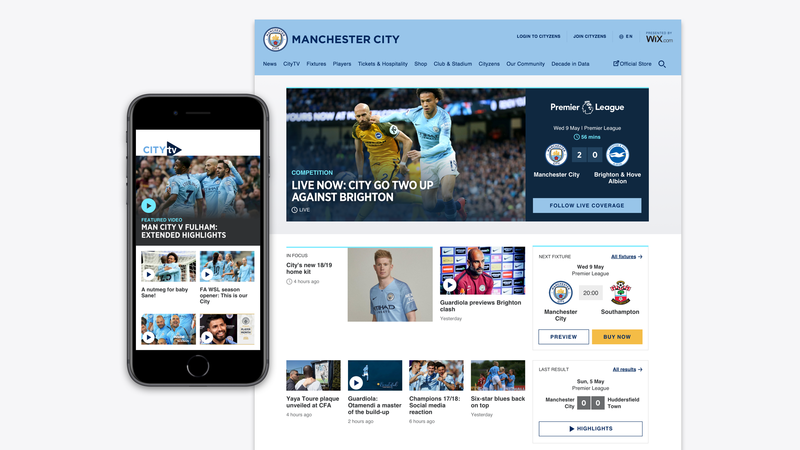 Some eagle-eyed fans have noticed we made a few changes to our mancity.com homepage and it’s all thanks to their feedback. The mancity.com homepage, and website in general needs to work harder for our fans. It really is that simple. We used various focus groups, Cityzens Voice, live chats, quantitative data to understand the needs of our fans more clearly. 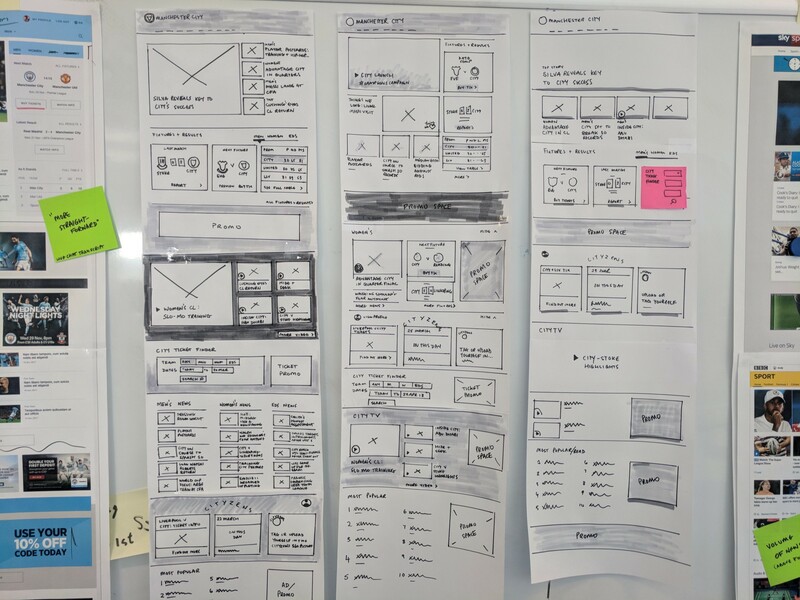 Not to say this wasn’t done the first time around, the website tested well in user groups, but I think the design drifted to be more content-led in its approach rather than the task-driven needs of the fan. The old homepage design tried to allow for more content to be presented but fell short by confusing layouts and the tricky City Now feature. More on that later. For clarity, it is just the homepage that has been refreshed. We’ve made a few amends to facilitate the removal of the City Now feature, that was on every page of the site, but only the homepage has had a change to its design. We didn’t want to make a lot of noise about the refresh. It is, only one page, albeit a high traffic page. There’s more to do across the site and also the underlying platform. The site is the official word of the Club, but we also have numerous other channels, networks and apps to support. The main shift has been towards getting fans to the content they want quickly. …I can’t find the last match report once it’s gone from the homepage. So we’ve introduced the next match / last match at the top of the page, alongside the latest news. This will soon* shift to display live scores while the match is on. The overall design has been made simpler, cleaner. News and video is upfront and not buried in tabs or scrolls. Playing videos will now take you to the page rather than play in place. This will allow fans to scroll through those sections as opposed to passively consuming just the homepage. This also helps with page loading and the homepage is now faster than it’s predecessor. We’ve also introduced our Cityzens area on the homepage. Cityzens can partake in polls, competitions, quizzes and personal content on the Cityzens website and we want to bring that closer to the site. There are some cracking prizes and we wanted to surface that to the fans sooner in their journey. The Cityzens content changes on an almost daily basis so we’re hoping there’ll be more interaction from fans with these fun areas of the site. …I don’t get it, I see this stuff on twitter, I don’t want to see it on everypage on the site. …I ignore it, I don’t know why it’s there. The objective of City Now was to provide a curated pulse of activity that was happening across our social channels and the Club. A behind the scenes sneak peak on the day-to-day inner workings of City. Unfortunately, it’s difficult to maintain that pulse, every 10 minutes, 12 hours a day 7 days a week with a user interface that doesn’t facilitate that curation. Quickly it became somewhere to collate tweets, news stories, pictures etc as those were the only options, which didn’t really add the expected value or experience to our fans. I do think there’s a place for some kind of ‘hub of everything’ that City produces. Our editorial, video and social output across the channels should be celebrated and collated, to ensure fans get the most out of what we do, the official word and work of the Club. Maybe City Now will make a return at some point, in a more meaningful manner, but for now, I don’t think anyone will shed a tear for its demise. We’re working towards a more iterative approach to how we make changes to the site, content and other channels. Big bang is fine, exciting, but ultimately we want to delight fans more often. Iterative improvements based on qualitative and quantitative feedback is where we’re at. There’s certainly more to come. Visit mancity.com, have a look and let me know what you think! Fans — your feedback is, as always, brutally honest and forthcoming. Long may that continue, we are listening. Andy Myers produced the designs and research (and put up with my pestering during the process). Stadion.io developed the page, Leandro and Amber and the team worked hard to accommodate our requests. *Due to deploy early October. Platform Manager for Manchester City @mancity, general thoughts, and musings, digital or otherwise. The team behind Manchester City digital operations, focused on web and mobile for the club: products, plans, hopes and dreams.